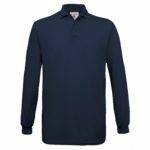 Long sleeved polo shirt. 1×1 rib flat knitted collar. 1×1 rib flat knitted cuffs with Elastane. Reinforced placket with 3 matching colour buttons. Washing Instructions :- Wash – 40. No – bleach. Dryer. Iron – 2. No – dry clean. Fabric :- Piqué 100% Pre-shrunk ringspun combed cotton. Size/To-fit” :- Sml/36-38, Med/38-40, Lge/41-42, XL/43-44, XXL/45-47, 3XL/47-49. Long line placket with matching buttons. Side vents. Slimmer fit. Long sleeves with cuff and single button detail. Washing Instructions: 40 cotton. Do not bleach. Do not tumble dry. 2 dot iron. Do not dry clean. Wash at 40 degrees. Wash dark colours together. Re-shape whilst damp. Dry out of direct sunlight. Iron on reverse of decoration. Taped back neck seam for added comfort. 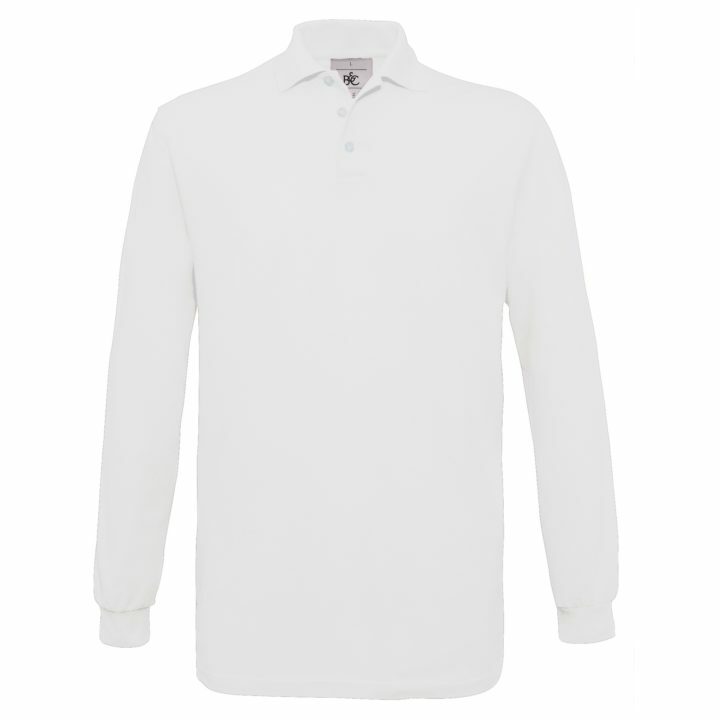 Two-button placket with self coloured buttons and sewn-in spare. Twin needle stitching detail on shoulder and hem. 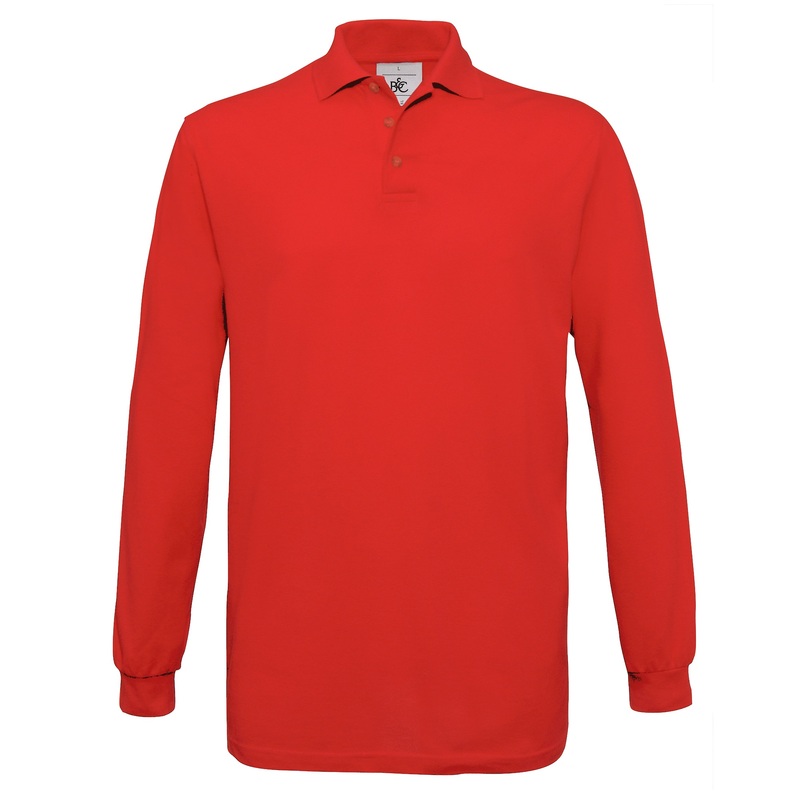 Ribbed flat knit collar and cuffs. Also available in adult sizes SS402. Washing Instructions :- Machine wash 40°. Do not bleach. Do not tumble dry. 1 dot iron. Do not dry clean. Fabric :- Easycare 65% Polyester, 35% Cotton Blend. Weight :- White 170 gsm, Colours 180 gsm. Age/Chest" :- 3-4/26, 5-6/28, 7-8/30, 9-11/32, 12-13/34, 14-15*/36. *Size 14/15 is VATable. 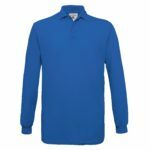 Stand up collar for increased shape retention. 1x1 ribbed cuffs. 3 button placket with self-coloured buttons. Worldwide Responsible Accredited Production (WRAP) certified production. Washing Instructions :- 40 synthetic. Do not bleach. Low tumble dry. 2 dot iron. P dry clean. Wash at 40 degrees synthetic cycle. Wash dark colours separately. Use colour recommended detergent. Re-shape while damp. Tumble dry low temperature. Dry out of direct heat and sunlight. Iron on reverse. Do not iron on decoration. Fabric :- 65% Polyester, 35% Cotton. Weight :- 200gsm. Size/Chest" :- XS/34 Sml/36 Med/38-40 Lge/42 XL/44-46 XXL/48. 3XL/50-52 4XL/54 5XL/56-58 XSmall only available in Navy, Sky and White. 4XLarge & 5XLarge only available in Black, Bottle, Heather grey, Navy, Red, Royal and White. Easycare, easy wear. Taped neckline, 3 buttoned fused placket. Ribbed flat knit collar and cuffs. Twin needle stitching to shoulders and hem. Performs at 60°C wash. Also available in kids' sizes SS417. Washing Instructions :- Machine wash 40°. Do not bleach. Do not tumble dry. 1 dot iron. Do not dry clean. Fabric :- 65% Polyester, 35% Cotton. Weight :- White 170 gsm, Colours 180 gsm. Size/To-fit" :- Sml/35-37, Med/38-40, Lge/41, XL/44-46, XXL/47-49, 3XL/50, 4XL/53-55, 5XL/56-58. 4XL-5XL Only available in Black, Heather Grey, Navy and White. Taped neckline. 3 button fused placket, selfcoloured buttons. Reinforced shoulder seams with single needle stitching. Ribbed flat-knit collar and cuffs. Washing Instructions Machine wash 40°. Do not bleach. Do not tumble dry. 1 dot iron. Do not dry clean. Fabric: 65% Polyester, 35% Cotton Blend. Weight: White 220 gsm, Colours 230 gsm. DryBlend™ women's double piqué Sport Shirt, DryBlend technology delivers moisture-wicking properties, semi-fitted contoured silhouette with side seam and side vents, contoured welt collar and cuffs, heat transfer label, clean finished reversed placket with reinforce bottom box, 2 colour-matched buttons, twin-needle bottom hem, Oeko-Tex Standard 100 certified. Washing Instructions: Wash in domestic or commercial machine in water not exceeding 40ºC, at normal setting. Use only non-chlorine bleach when needed. Tumble dry at medium heat (not exceeding 65ºC) at normal setting. Do not dry-clean. Do not iron or press. Fabric: 65% Polyester, 35% Ringspun cotton. Weight: White 200gsm, Colours 207gsm. Girlie fit. Set-in-sleeve design. Self coloured buttons. AWDis' own Neoteric™ textured fabric with inherent wickability and quick drying properties. Self-fabric taped back neck. Twin needle stitching detail. Self-fabric collar with 3 button placket. Simple tear off label makes it perfect for rebranding. UPF 30+ UV protection. Worldwide Responsible Accredited Production (WRAP) certified production. Washing Instructions :- Machine wash 30°. Do not bleach. Do not tumble dry. Do not iron. Do not dry clean. Fabric :- 100% Polyester. Weight :- 140gsm. Size/To-fit :- XS/8, Sml/10, Med/12, Lge/14, XL/16, XXL/18. XXlarge only available in Arctic white and Jet black. 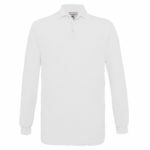 Double stripe tipping detail on the collar and cuffs for a more sporty look. Contrast colour back neck tape. Three button placket with self-coloured buttons. Washing Instructions Machine wash 40°. Do not bleach. Do not tumble dry. 2 dot iron. Do not dry clean. Weight: White 170gm/m2, Colour 180gm/m2. Combed ring spun cotton pre-shrunk double piqué knit. Semi-fitted contoured silhouette with side seam and side vents. Contoured welt collar and cuffs. Heat transfer label. Rolled forward topstitched shoulder. 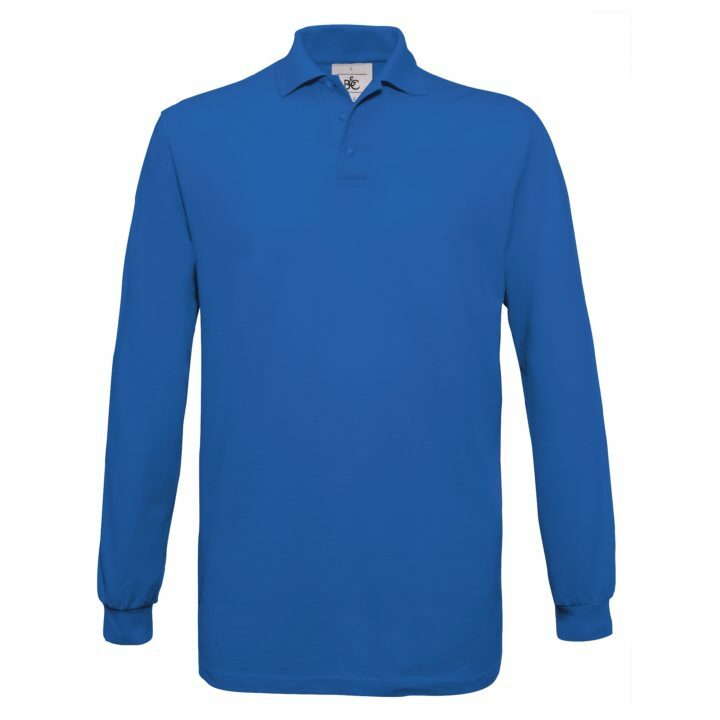 Clean finished placket with reinforced bottom box, 3 colour-matched buttons, twin needle bottom hem. Oeko-Tex Standard 100 certified. Washing Instructions: Wash in domestic or commercial machine in water not exceeding 40ºC, at normal setting. Use only non-chlorine bleach when needed. Tumble dry at medium heat (not exceeding 65ºC) at normal setting. Do not tumble dry. Do not iron or press. Weight: White 211gsm, Colours 220gsm. Designed for sublimation printing. Set-in-sleeve design. Self fabric taped back neck. Twin needle stitching detail. Rib collar. Worldwide Responsible Accredited Production (WRAP) certified production. Washing Instructions :- Machine wash 30°. Do not bleach. Do not tumble dry. Do not iron. Do not dry clean. Fabric :- 100% Polyester. Weight :- 185gsm. Size/Cheast" :- XS/35 Sml/38 Med/40 Lge/43 XL/45 XXL/48. Please note :- Decoration on garment(s) are for illustrative purposes only, unless requested garments are supplied blank.